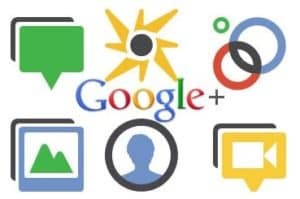 Google Plus was not long ago the social network that everyone was talking about and that was grabbing all the headlines. Not long after its big unveiling though it seems to have slipped off of many people’s radars and gone a lot quieter as most people turn their attention back to Facebook and Twitter. 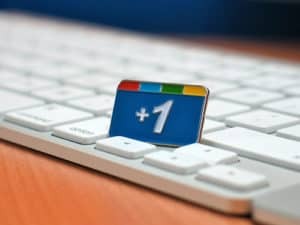 While Google Plus might not have been the unadulterated mainstream success that Google was undoubtedly hoping for though, it has still managed to build for itself a decent user base and for webmasters and other online entrepreneurs it’s certainly still worth your attention and it can greatly help you to increase your traffic in both the long and the short run. Here we will look at how to get the most from it. This is very important and something that every webmaster and blogger should have done by now. By linking your written content with your Google Plus account you give Google more information to use in their search results and in turn that means that your results will be listed with your picture and name underneath rather than as just a dry piece of text. As well as giving your articles more personality and more authority, this means that your results will be more likely to stand out from the crowd and you will be likely to get more clicks – even if you aren’t at the top necessarily. Google have a tendency to like grouping their services together and integrating them in different ways. 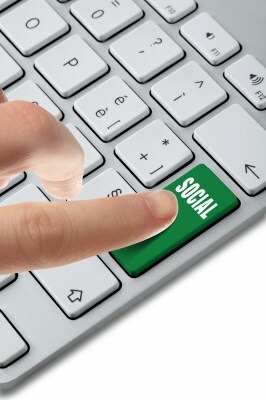 Recently Google has continued this pattern by integrating YouTube and Google Plus. In other words, if your name on YouTube is currently ‘TheMadMonkeyHat778’, then you can now integrate this with your Google Plus account so that it displays your real name alongside your profile picture. That’s worth doing of course because it helps you to build a brand and means that you can start bringing Google Plus followers over from your YouTube subscribers more easily. And getting as many followers on Google Plus as possible is a highly valuable pursuit and one you should certainly dedicate some time to. This way you can benefit from Google’s vision for ‘Social Search’ by getting into the personalized search results of people who have you in their circles. The way it works is that if someone searches for something and one of their connections has posted or written a relevant link, then this result is likely to come up before the other organic results in the SERPs. The very nature of SERPs then is changing for Google, and this is the best way to make sure you are right at the forefront of that paradigm shift. If the idea of just waiting for people to search for your topics sounds a bit passive to you though, then you can get more active by simply sharing things with the Plus One button. This will get your stories onto the equivalent of the home feed and ensure they get seen and shared by other people throughout their networks too. Better yet of course is to encourage other people to share your pages and articles by including plus one buttons on your pages. This way you can get your articles seen by many more people and find your way into more and more personalized search results. This is going to snowball over time, so make sure you get in their early so that you stand the best chance of taking advantage of these viral opportunities. I use PlusOnesPro, http://pluesonespro.com to get ton of Google pluses. Simply plus what you like and others who are interested in your page will +1 back. Try it and thank me later! Hmmmm. I’m looking at it through my phone and there isn’t. There’s Facebook, Twitter, pintrest, Linkin and stumble. I find it funny that there is no +1 on this article or share for Google Plus. Well! There are two +1 buttons on this post. Next to headline and the other at the bottom.